Today, we are told, is the first day of the rest of our lives. And The Legal Genealogist joins the rest of our community today in wishing the very best to one of our very best as she begins the rest of her life. Today, you see, is the very first day that Loretto Dennis Szucs, known as Lou, will be officially retired from Ancestry, where she has served for nearly 30 years, most recently as Vice President of Community Relations. And for every one of those years, Lou has been Ancestry’s best ambassador to the genealogical community — the very best that company has had to offer. At the same time, she’s worked tirelessly, quietly, powerfully, to be the genealogical community’s best voice to the corporate types at Ancestry. 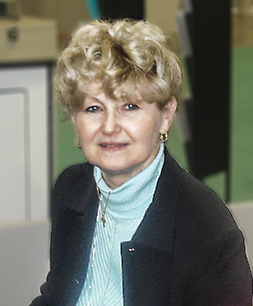 For this work, and for so much more, she has been honored repeatedly, by the International Society of Family History Writers and Editors (ISFHWE) as the first recipient of the Myra Vanderpool Gormley Award of Merit, by the Utah Genealogical Society with its Silver Tray Award and as a Fellow of that Society, by the Federation of Genealogical Societies with its David S. Vogels Jr. Award, by the Illinois Genealogical Society, by the National Genealogical Society… by so many others. And even all that isn’t enough to begin to say thank you for all Lou has done. So much of it behind the scenes, out of the limelight. She has been an archivist, a genealogical society leader, a spokesman for genealogists and to genealogists, at the same time she has been a wife and a mother and a good friend — a hero, in Megan Smolenyak’s words6 — to so many of us. And fare thee well, friend, as you begin your journey today into the rest of your life. Very nice tribute to a wonderful lady! Having worked with Lou for 12 of those 30 years at Ancestry I echo your sentiments. She indeed was a steady guiding voice in a fast paced environment. Remarkable mentor, supervisor and friend to me. Can’t say enough good. She’s such a good person, Suzanne. You were most fortunate to have worked with her so closely!